Do you have a dish that you would keep eating forever if your stomach didn’t run out of room? That’s how I feel about these enchiladas. 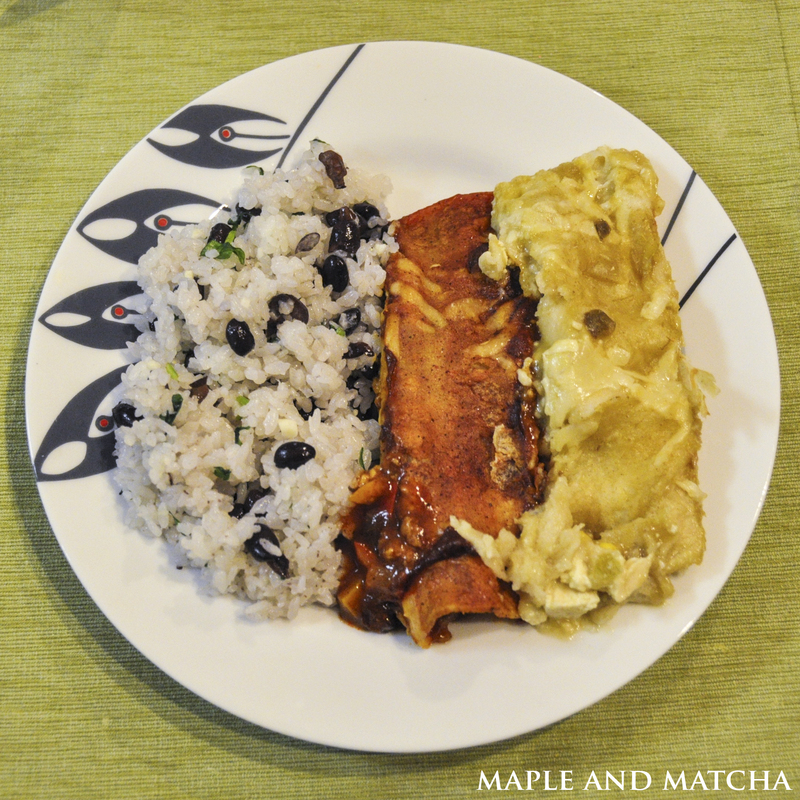 In my family we have certain meals that everyone gets to personalize, and enchiladas are one of them. If you are trying to please multiple palates, you can easily make different fillings and bake them all in the same dish (as long as you remember where you put each one). This chicken filling is based on my dad’s recipe, which has a super savory and rich flavor. The tofu filling is based on my mom’s recipe, using mashed tofu and cheese to make it extra soft and creamy. I think the perfect combination is some of each. Note: these instructions are for uncooked chicken, but if you use cooked chicken you can just mix everything together. Categories: Recipes | Tags: savory | Permalink. In my version I don’t put the beans in the chicken enchiladas. I have them with rice on the side, preferably mixed together as in gallo pinto. Also, a handful of dried cranberries gives a non-traditional burst of flavor.